Your Project - Our Passion! 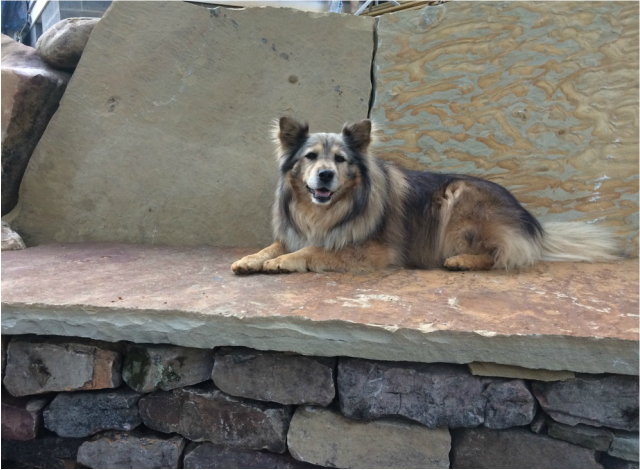 Layla poses for a photo shoot on this drystone bench in West Asheville. 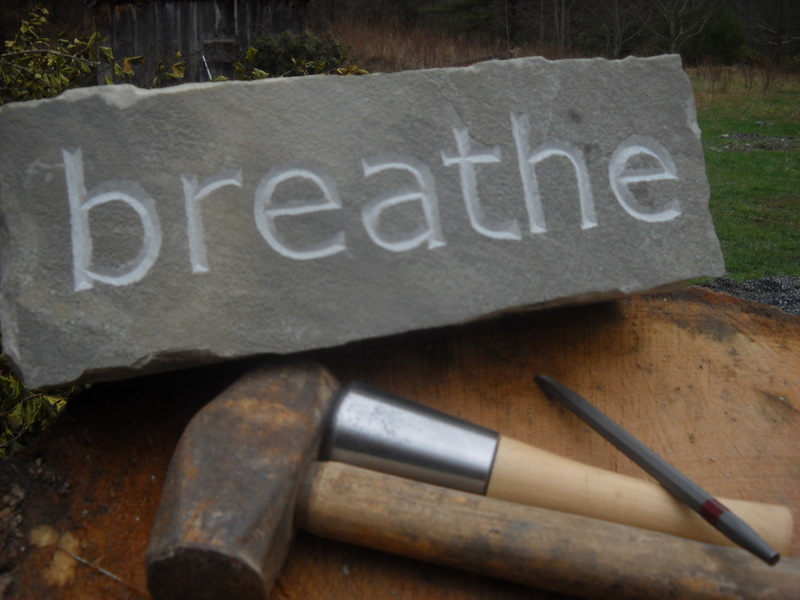 Welcome to Living Stone Masonry, an Asheville, NC -based company servicing Western NC and beyond! We have the skills to design, build, or repair anything your project requires. 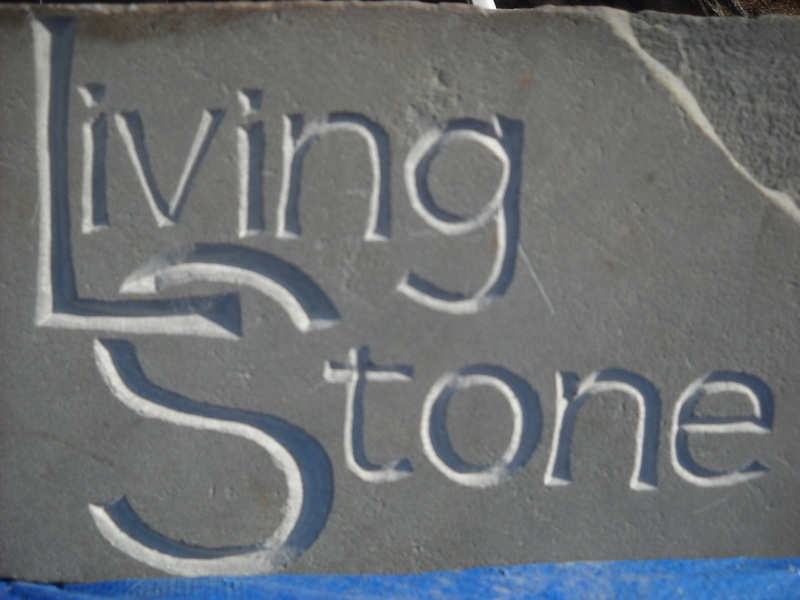 Feel free to contact us with information about your project at livingstonemasons@gmail.com, and read below to learn more about all of the services we offer. No job is too large or too small for our crew to handle. 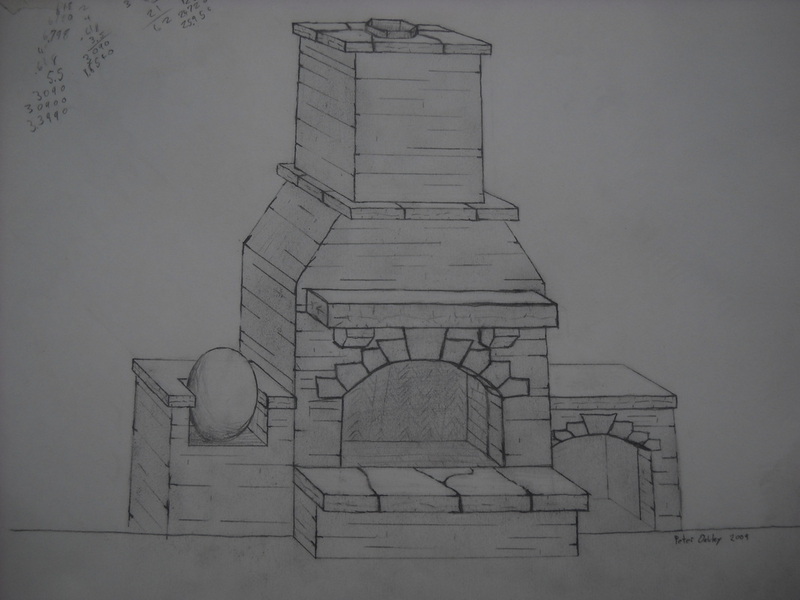 At Living Stone Masonry, we offer free design work with our projects. 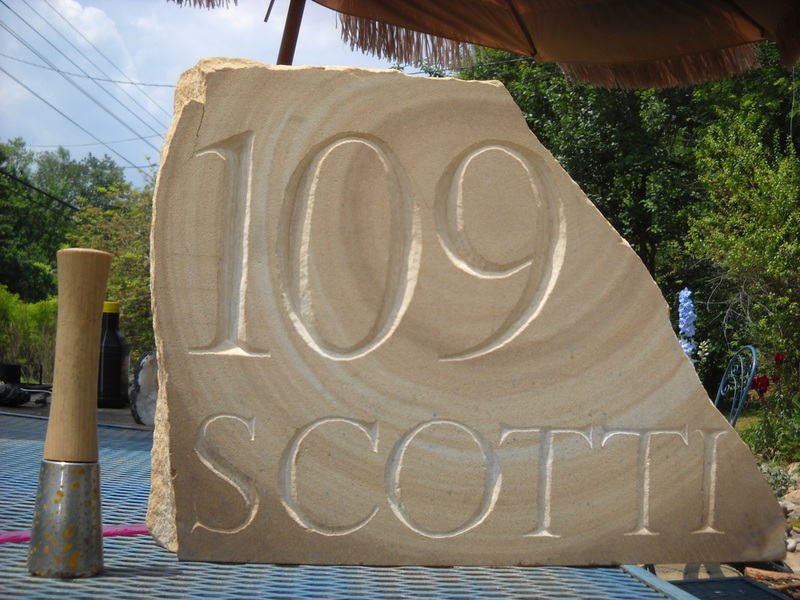 As stonemasons, we understand the characteristics of stone structures, and we listen to our clients' needs and wants and look for the unique design opportunities in every situation. Original design by Franklin Smith and drawing by Peter Oakley. 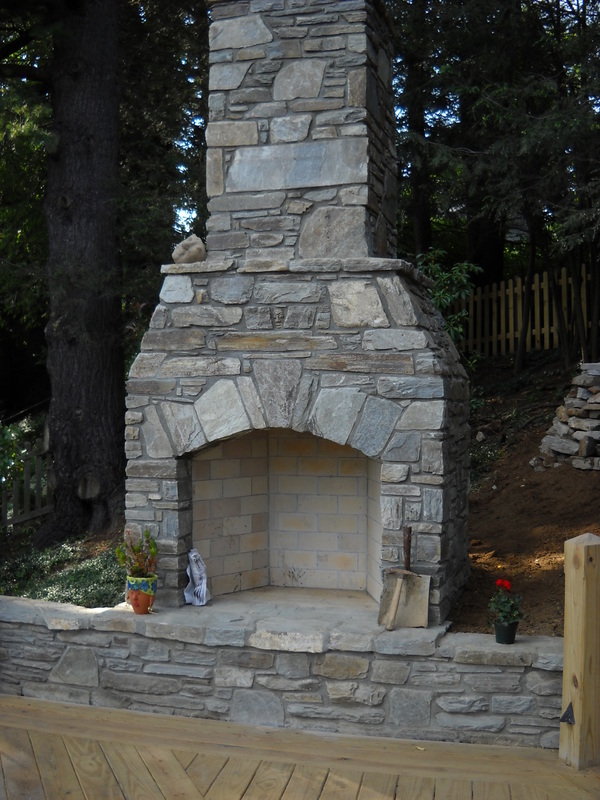 Stacked fieldstone outdoor fireplace with Crab Orchard accent slabs, Blowing Rock, NC. 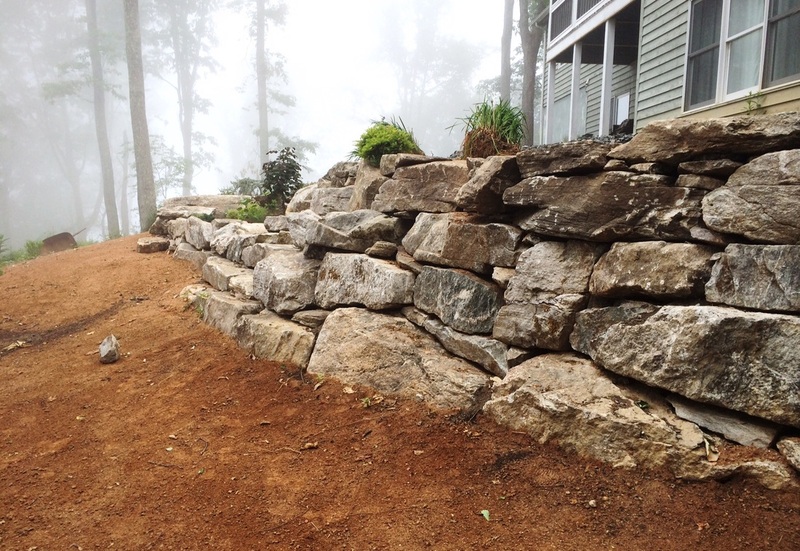 Engineered drystone retaining wall, Linville Ridge, NC. 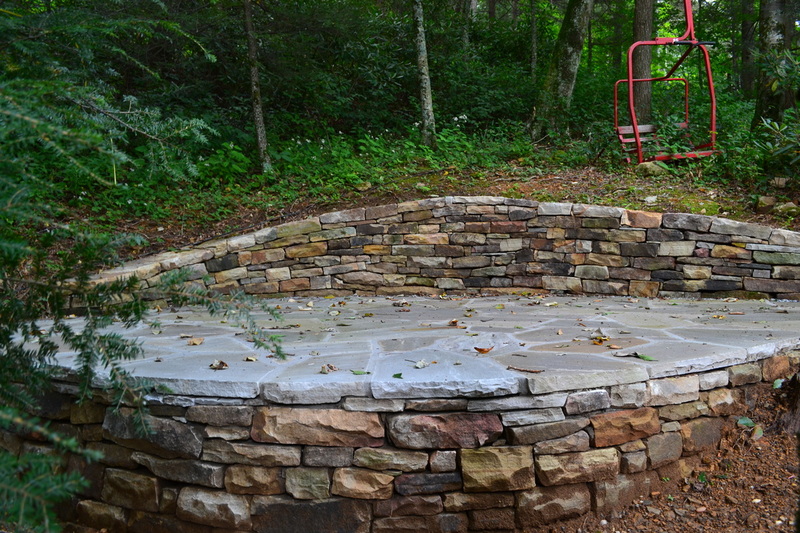 One of our specialties is dry stone walls, patios, steps, and walkways. We build these features without mortar to harmonize with the environment and endure for a lifetime. 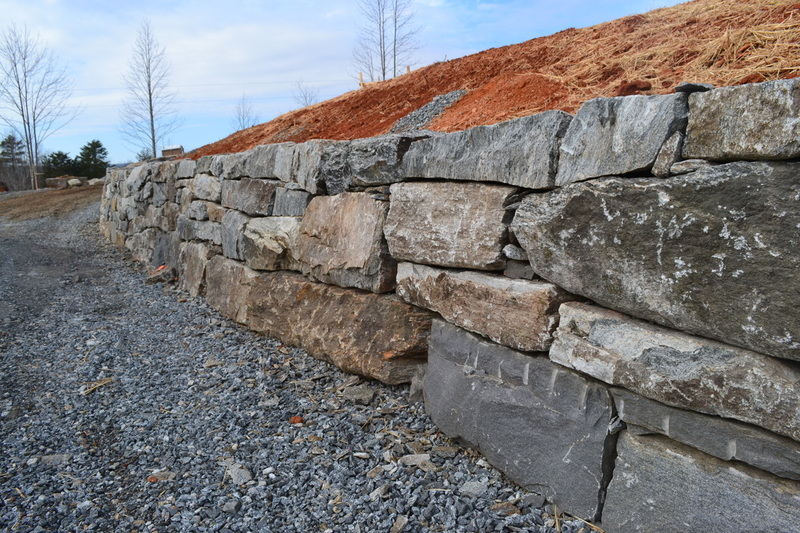 We have the most DSWA (Dry Stone Walling Association of Great Britain) certifications of any company in North Carolina. 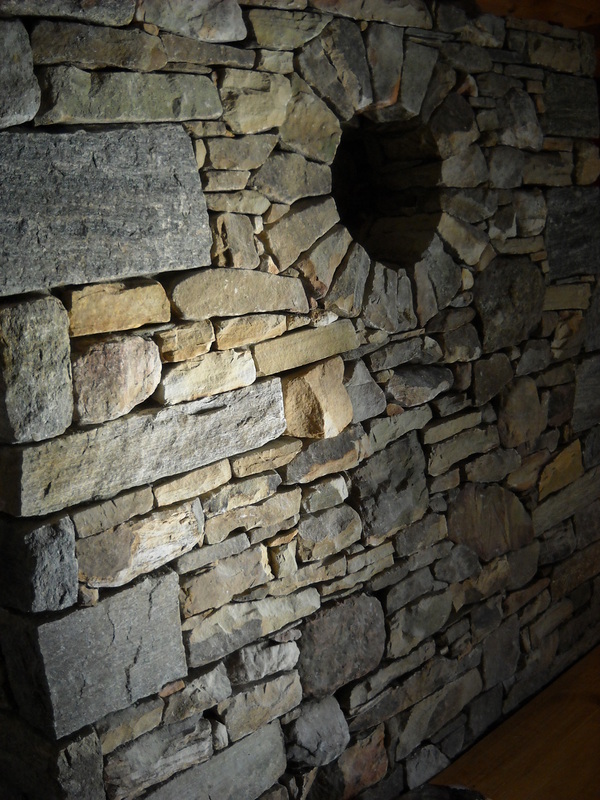 We are trained by the world's top Dry Stone Wallers to provide our customers with professional, efficient, and beautiful drystone structures. Ask me about the DSWA and why their certification matters! To create this patio, we had to build drystone retaining walls above and below. TN Crab Orchard dry stone retaining wall. Dogget Mtn dry stone retaining wall near Asheville, NC. We also specialize in both full and lightweight mortared stonework, including walls, fireplaces, chimneys, foundations and flagstone. We strive to provide the finest quality, taking care to closely fit each stone while providing structural design elements such as arches. We offer a variety of options to accommodate any budget. 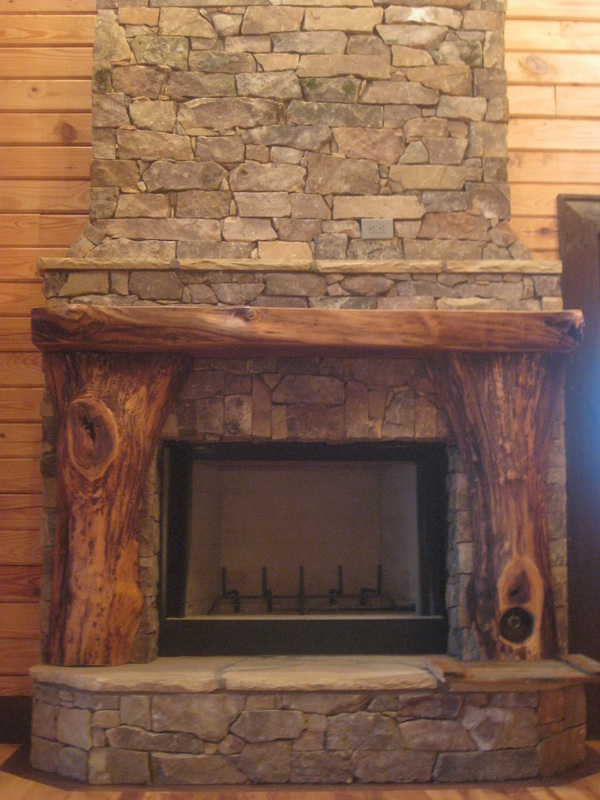 Lightweight stacked fieldstone with black walnut mantel Boone NC. Moongate in stacked fieldstone with reclaimed granite quoins Boone NC. 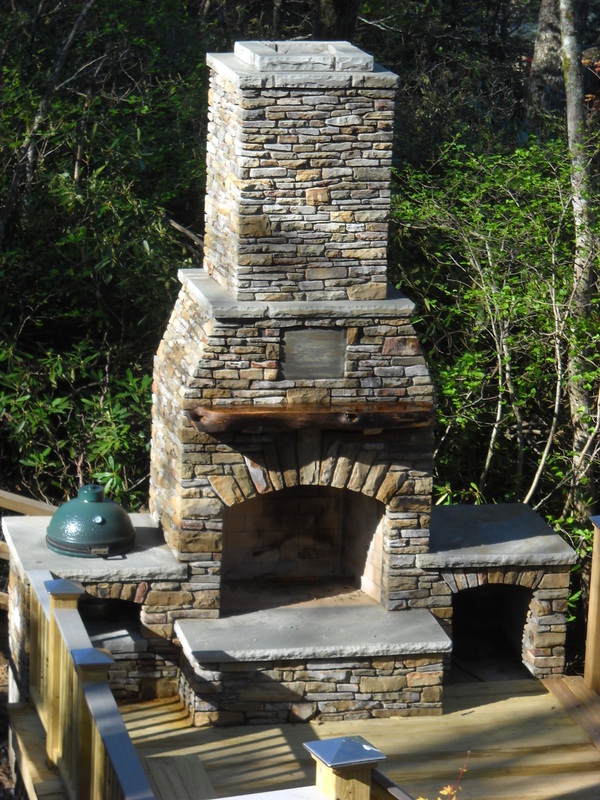 Outdoor fireplace, Boone NC. Chocolate Grey stacked stone with mortar joint. Large slab patio, Banner Elk, NC. 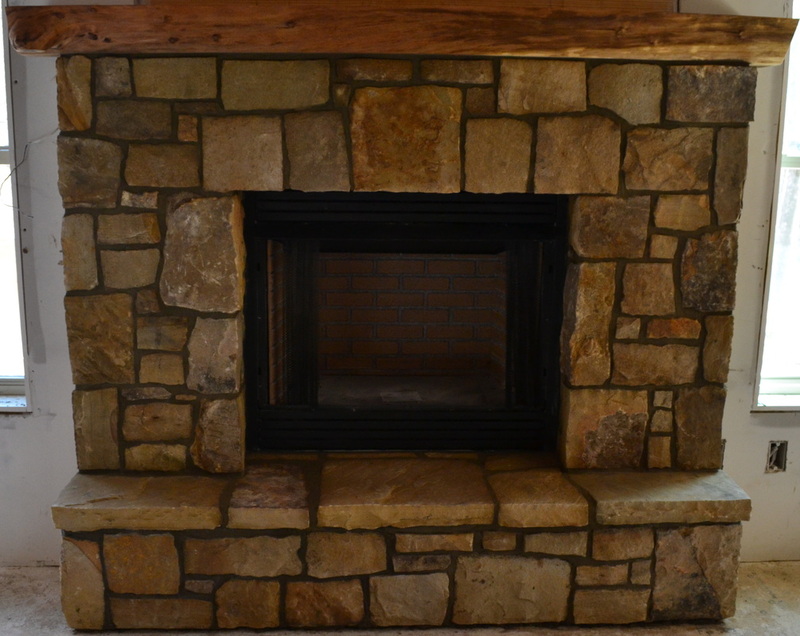 Weaverville, lightweight TN stacked stone over brick fireplace. This fireplace and the one to the right are both gas fireplaces built using lightweight stone. This one has ashlar pattern stone and a Black Walnut mantel. East Asheville, Japanese style sidewalk. 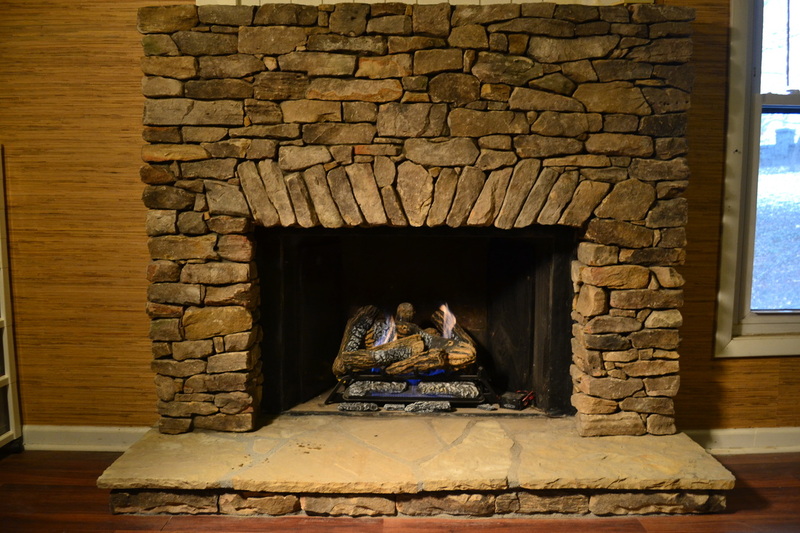 This West Asheville fireplace has lightweight stacked fieldstone. 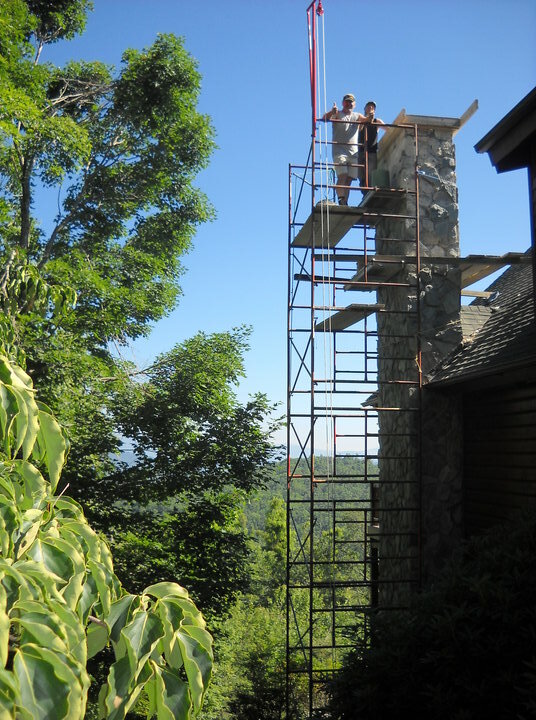 Chimney repair and pouring new cement cap Boone NC. While good stonework is meant to last for centuries, sometimes maintenance is required. 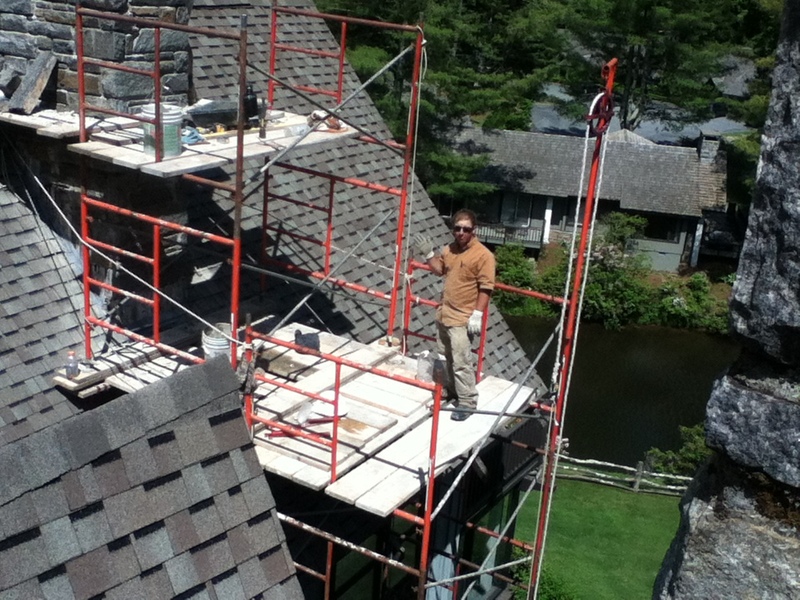 We offer a full restoration service, from minor chimney repairs to whole house re-pointing. Our philosophy is to bring new life to structures while preserving as much as possible. Because the stone is often reusable, an old wall can be restored at a fraction of the cost of building a new wall. Another aspect of our work is historical preservation, using mortars that are appropriate for older structures to preserve them for the next generation. We offer this service for older brick and stone structures. Sometimes the hardest part of a repair is reaching the chimney! 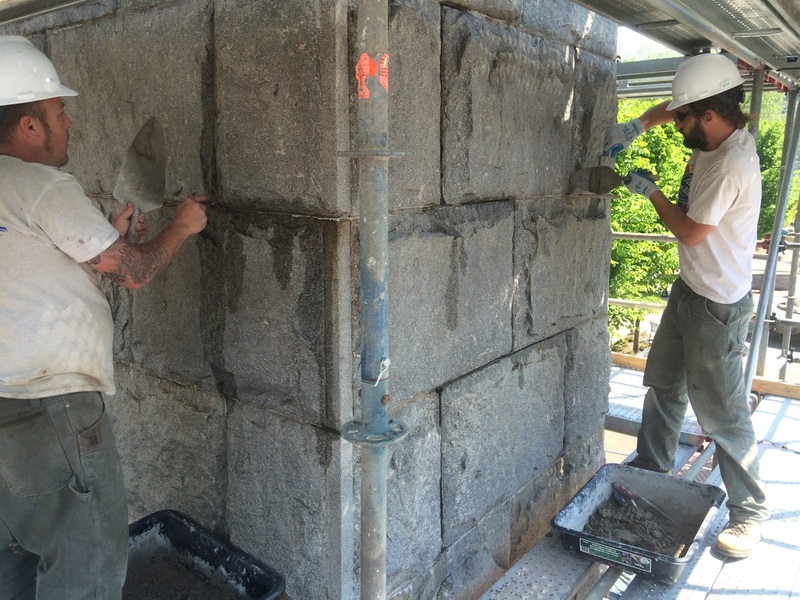 Working to repoint the Vance Monument in Downtown Asheville. 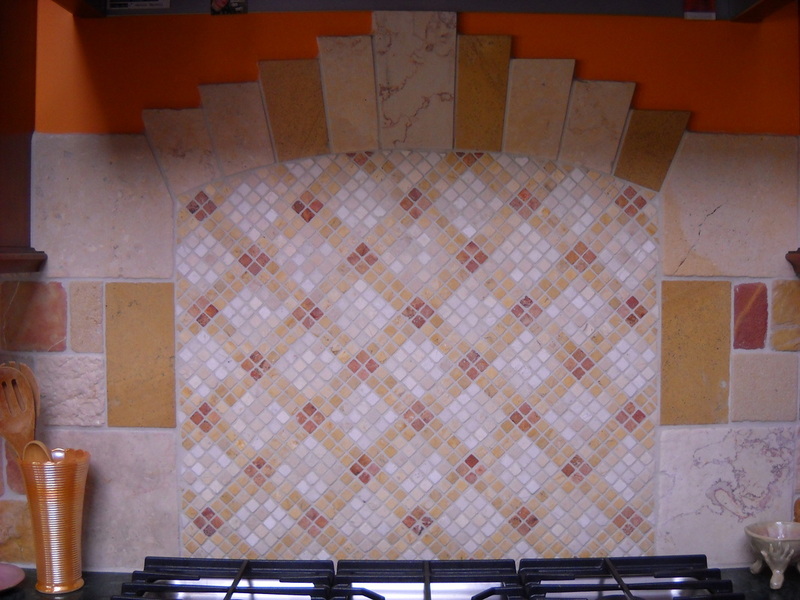 We also provide natural stone tile installation, including custom showers, backsplashes, and floors. Custom mosaic, Jerusalem Stone, Boone NC. 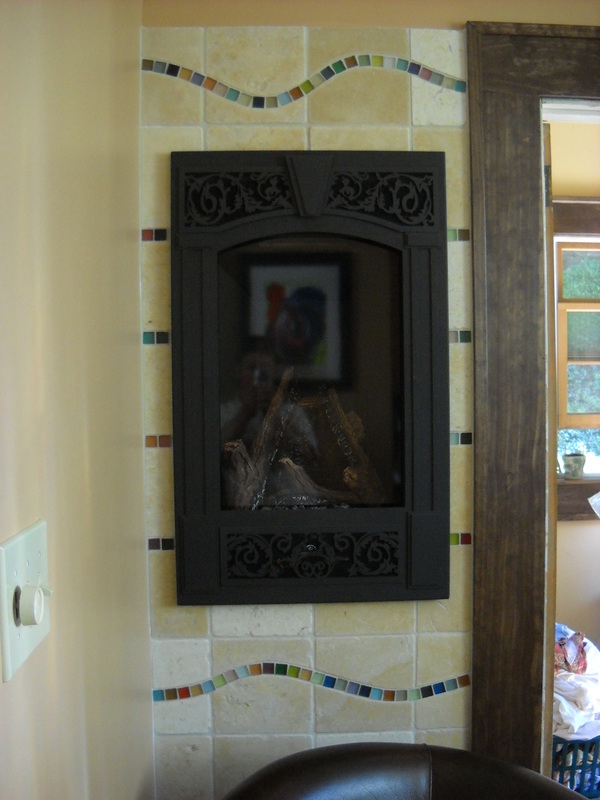 Jerusalem Stone with inlaid glass fireplace surround, Boone NC. 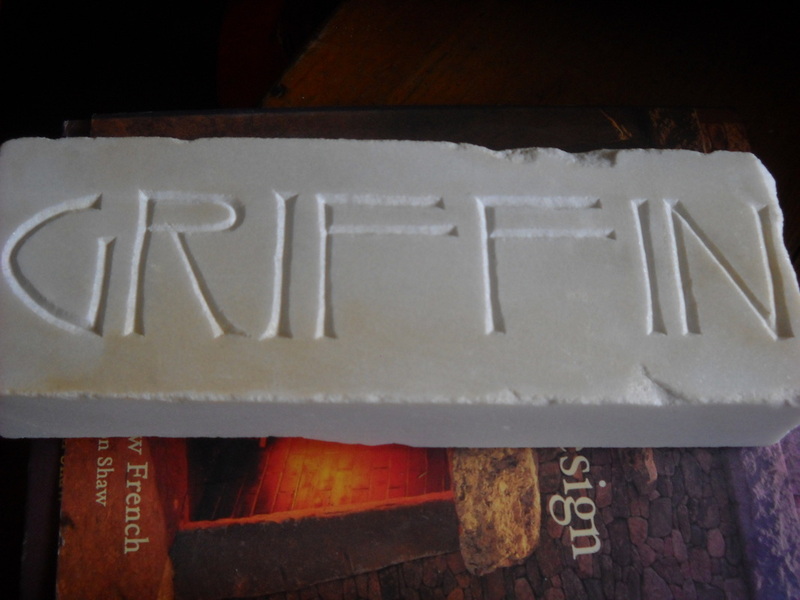 We offer hand carved letters or numbers in a variety of stones. 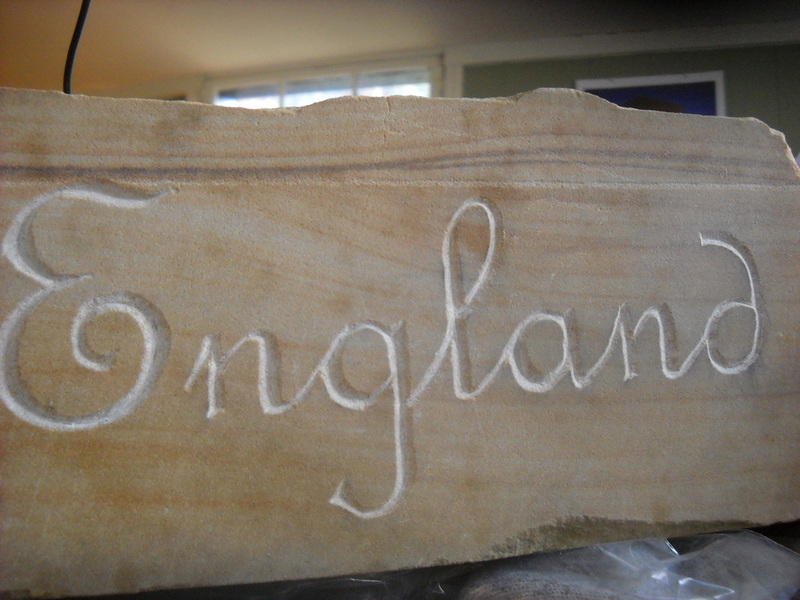 Modern lettering in stone is done with a sandblaster that gouges out the letters, but we we use traditional hammer and chisel to cut "V" shaped letters that have a timeless appeal. 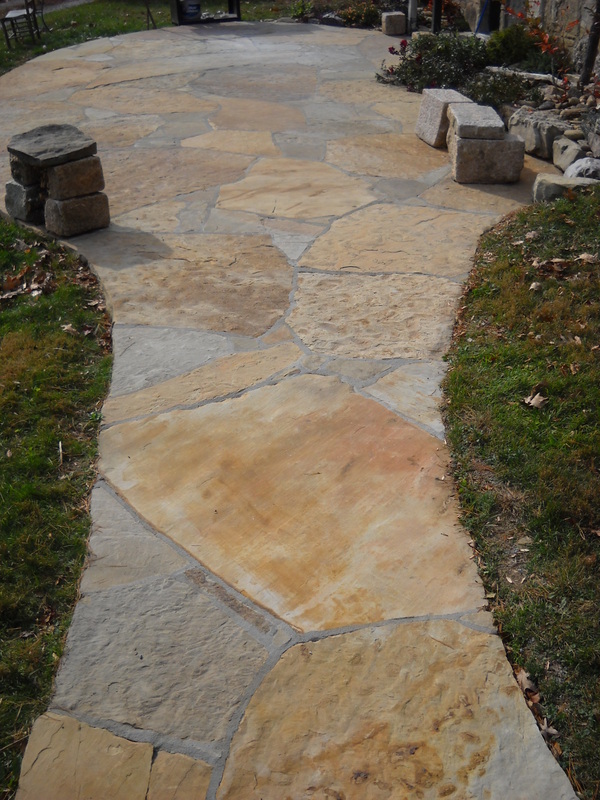 We provide a variety of hardscape services in addition to our masonry walls, patios, and walkways. 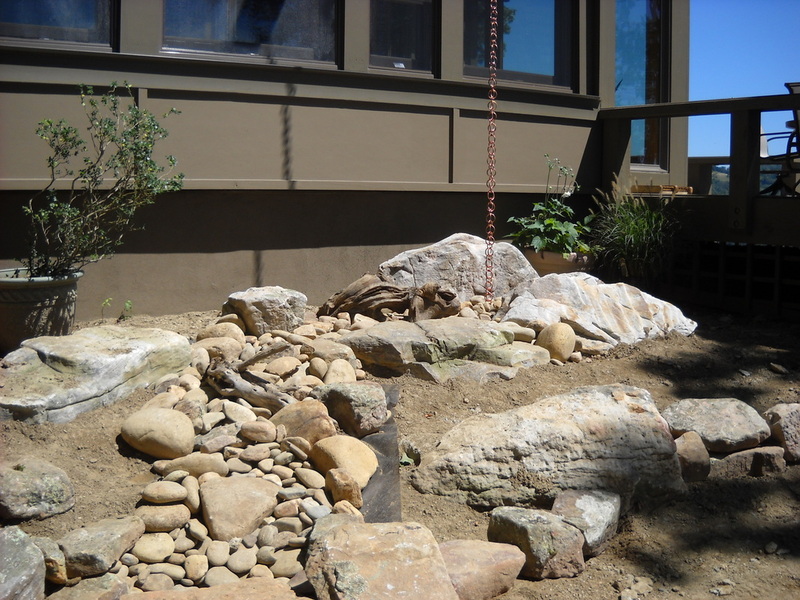 We construct rock gardens, dry streambeds, boulder walls, sculptural boulder placements, and water features. We have access to local boulders and heavy equipment, and boulder walls can be more cost-effective than stacked stone walls. Local boulder retaining wall with steps near Lake Toxaway. 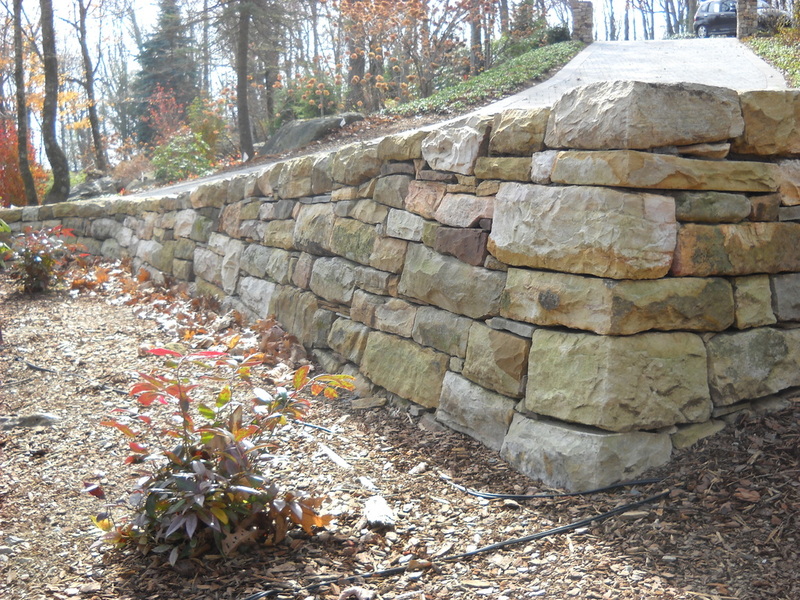 Retaining wall near Asheville NC using locally quarried Doggett Mtn. stone. The mix of large, medium, and small boulders gives this wall a unique character. 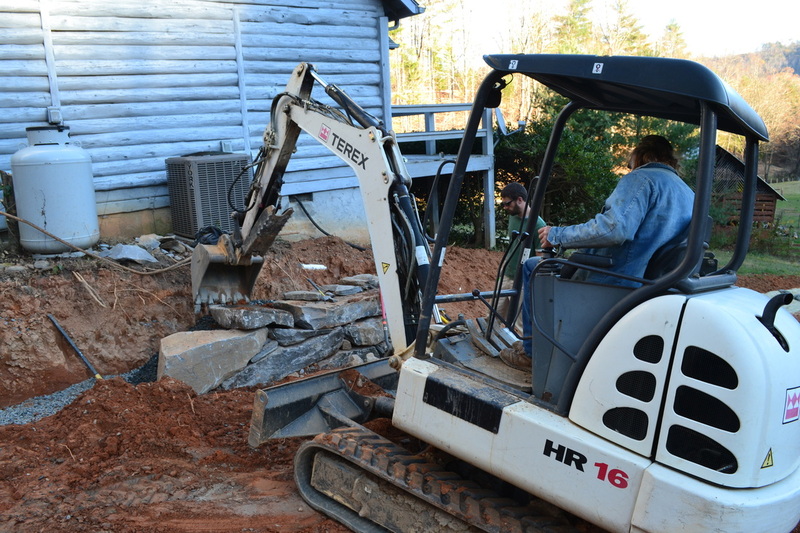 Working with an excavator to set boulders in a retaining wall near Asheville, NC. 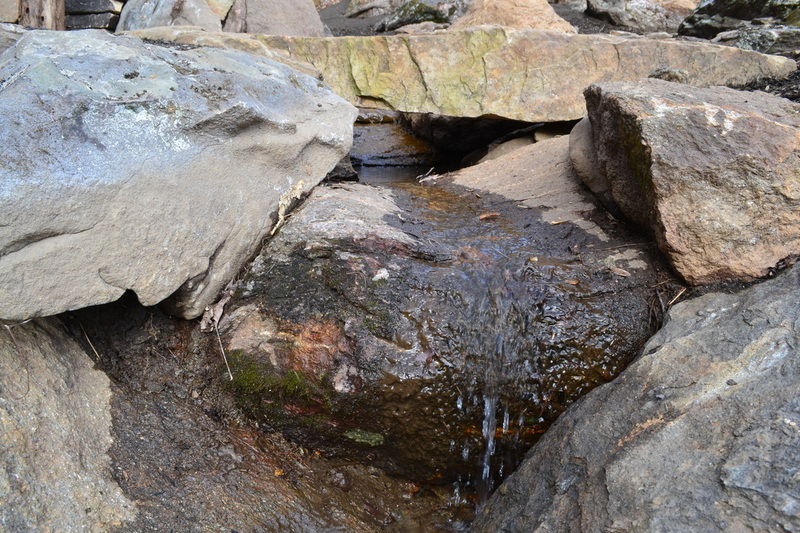 Close up of boulders and bridge in a natural water feature we created near Asheville, NC. 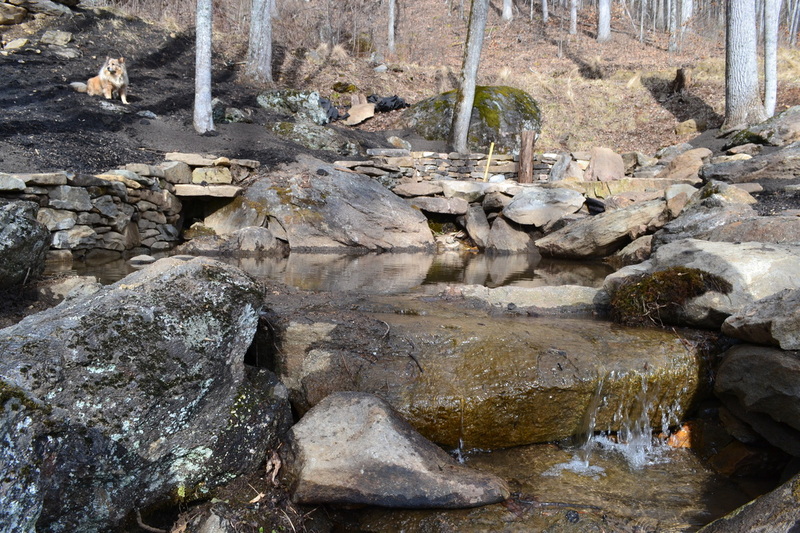 We created this pool and cascades by opening a channel for a natural spring and using onsite boulders to stabilize the banks.